What if you could ask your favorite actor a question? Here’s your chance! One of our upcoming videos will feature an interview with rising star Kim Bora. Kim Bora is currently appearing in the hit social satire SKY Castle as the hardworking top student Kim Hye-na. Kim Bora debuted in 2005 and despite being just 23 years old, she’s racked up a long list of credits in movies and dramas. She’s worked her way up from small parts, and with the success of SKY Castle we’re sure to see her more often on our screens. If you have any questions for Kim Bora, leave them in the comments! We’ll select some of the most interesting questions and include them in our interview. Deadline: We will cut off accepting questions on January 24. His opinion about the relationship that goes public with fellow actors. Whether he will do it or hide it? what inclined her to choose to play the character of kim hye-na? What do you think of Hyena character? How does it relevancies w the reality? What other roles or genres would you like to try next? of all the roles you've played, which one is your favorite? if you could play another character from sky castle, which one you'd pick and why? 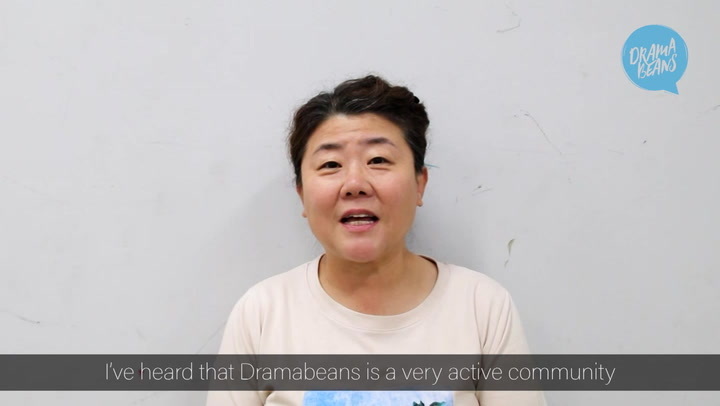 thanks for this opportunity dramabeans and i wish best of luck to talented kim bora on her career! Did she like hyena’s character? What did she think about the polarising reactions her chapter got? since up to today, her roles in dramas are teenagers/young adults, does she have any adult roles that has been offered to her that she will be doing soon? Among the young cast, who did she get along with the best? What are your favorite movies/dramas??? 1) Did you read any of the theories going around (e.g., Woo Joo being the killer, Hye Na and Ye Seo being switched at birth, the dead dragonfly symbolizing Hye Na committed suicide)? 2) Did the cast know who pushed you? Or did the writers keep it a secret? 3) What did you think when you found out your character was being killed off? 4) What was everyone on the set's reaction when SKY Castle steadily increased in ratings from 1.727 to 19.243 to become the highest-rated cable drama? Do you have a penchant for strong characters with lots of frictions/ or someone who has a lot of baggage? I also saw her on glamorous temptation and I found her character quite compelling so that makes me curious. The way you portrayed Kim Hyena is irresistibly good, but I am sure that it is difficult to keep up with the acting of the veteran leads in the series. How do you. maintain such level of acting when you have a shooting with them? Why are you not appearing on Sky Castle anymore? Is there any possibilities of Kim Hye Na coming back to life? I loved your portrayal of Hyenas character! Any thoughts of playing a evil villainess in the future? What are the things that you look a like with Kim hyena’s character..?! +what is the role that you want to play in the future..?! 1) Who are the actors/actresses that you look up to? 2) How do you get into a character? What kind of preparations do you do beforehand? 3) Any similar aged actor/actress that you would like to work with? 1. you are good friends with fellow 95 liners nam ji hyun and park ji bin, any chance for us to see you three in a project together? 2. i loved your acting since i saw you in buam dong avengers club. hye na’s role might be your breakthrough role in terms of publicity. if s lesd role in a drama comes your way - what type of genre would you prefer? 3. you have acted alongside lee yo won, ra mi ran in buam dong and now yeom jung ah and other top senior actors - what is the difference between those you worked with in buam dong and now in sky castle? 4. this is a probably a silly question but since your name is bora, is your favourite colour purple? 5. since the cast will go on a reward vacation later, where do you want to go? 6. do you think hyena has any sort of romantic feelings towards woojoo? please share your beauty routine and how you manage self care during busy schedules! Does she think that Kim Hye Na was a good person? Why? What preparations did you do for this character? Has your perceptions changed after playing this type of role? What advice would you give to other young adults? How do you like to pass the time on set? Is there a show or book that you keep revisiting time and time again? Why? Who inspired you to act and keep acting? Can you tell us about your first audition or a memorable one? What products would you promote if you were cast in a commercial? If you were in charge of the whole country for the day, what would you do? What song never fails to get you dancing or singing along? 1) What was the audition process for SKY castle? 2) Is there a scene you'd like to reshoot for some reason (in any of her dramas)? 3) Does she have any study tips? 4) Which variety shows would she like the appear on in the future?